Felt like home, host was very helpful, great check out time no rushing. This a brilliant place! Location is perfect and the host was so great when we arrived. Best value for what I pay & the owner she very helpful & fantastic service she considerate on everything and the apartment very clean and comfortable, believe or not the area are very nice & quiet . Beautiful and clean, great customer service! Would defo recommend it to others !! Just great ! big, 2 bedrooms, 2 bathrooms, very nice saloon & kitchen, very modern style, clean & comfortable. Good location, 10 min by foot from the center. Also, WIFI works very well. Highly recommended! The apartment was beautifully decorated, well equipped, clean and tidy and ideally located for the Academy Stadium. Amanda was extremely helpful with directions, any requirements that we had and also sent us links to local facilities. I would definitely recommend this apartment! Lock in a great price for 2 Bedroom Apartment - Close to Picadilly Train Station / Edge of the Northern Quarter - rated 9.7 by recent guests. One of our bestsellers in Manchester! Located 0.8 miles from Manchester Apollo, 1 miles from Greater Manchester Police Museum and 1.2 miles from City of Manchester 'Etihad' Stadium, 2 Bedroom Apartment - Close to Picadilly Train Station / Edge of the Northern Quarter offers accommodation set in Manchester. Guests staying at this apartment have access to free WiFi. The apartment features 2 bedrooms, a flat-screen TV and a fully equipped kitchen that provides guests with a dishwasher, an oven, a washing machine and a microwave. The property also has 1 bathroom with free toiletries. Canal Street is 1.3 miles from the apartment, while The Palace Theatre is 1.3 miles from the property. The nearest airport is Manchester Airport, 9.9 miles from 2 Bedroom Apartment. 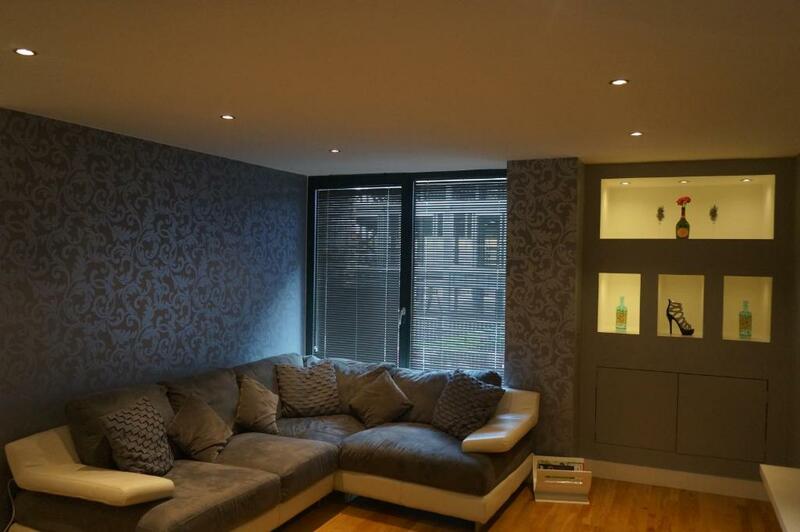 2 Bedroom Apartment - Close to Picadilly Train Station / Edge of the Northern Quarter has been welcoming Booking.com guests since 19 Apr 2018. 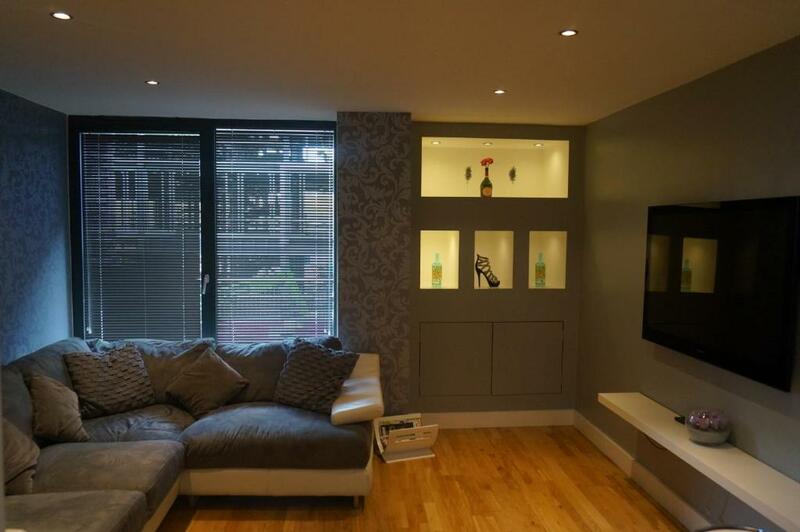 When would you like to stay at 2 Bedroom Apartment - Close to Picadilly Train Station / Edge of the Northern Quarter? This split-level, 2 bedroom, 2 bathroom apartment is located on the edge of the Northern Quarter. Downstairs there is a bedroom with a double bed and fitted wardrobe with mirrored doors. A bathroom is located opposite the room, and contains a washer/dryer. Upstairs guests will find another bedroom with a king-size bed and wardrobe. The bathroom has 2 doors, so it can be accessed directly from the bedroom or the living area. The kitchen has a full-size fridge and freezer, as well as a dishwasher. Double doors in the living room lead to the balcony. I like things to be just right as I am incredibly fussy myself. I feel cleanliness is one of the most important things when staying away from home, followed by a comfy bed with nice fresh bed linen. A decent powerful shower helps along with homely, relaxing surroundings. I'm confident I have managed all of this and therefore would be a very happy & satisfied guest if I were to stay here myself. House rules 2 Bedroom Apartment - Close to Picadilly Train Station / Edge of the Northern Quarter takes special requests - add in the next step! Please inform 2 Bedroom Apartment - Close to Picadilly Train Station / Edge of the Northern Quarter in advance of your expected arrival time. You can use the Special Requests box when booking, or contact the property directly with the contact details provided in your confirmation. Owner was lovely and very helpful. Comfortable beds and spotless everywhere. Great location.